Aapo Markkanen the analyst of ABI Research thinks that they have got almost double revenue than the previous year. It means they have got a huge success this year. According to him this revenue has come from subscriptions, advertisement in the applications, and pay for each download etc. Therefore, they have got their revenues from various parts and it is their cumulative revenue. According to Markkanen Apple actually started the trend to turn the apps to money which they reached not only because of the compelling operating system of the mobile which is iOS, but they have improved the mechanisms of billing and distribution wonderfully and thus they have done a wonderful job and in 2012 the result is remarkable. Well, Google has also taken an important role for distributing its apps to the customers and people have downloaded the applications of Google in great extent. Therefore Google should also be given credit behind the huge success of 2012. Google has got a huge success with their Android applications. Throughout the years they have produced more and more catchy applications and thus they have made themselves almost a departmental store for apps. 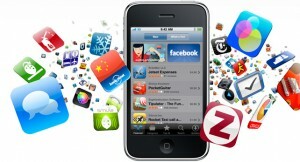 They have now achieved one third of the total revenue which comes from the apps. There is no doubt about the fact that Google is taking an important role about marketing of apps in recent years. RIM and Microsoft are also coming in the field and it is quite clear they will also play a big role in future. They are also making new strategies for having their own platform in this business and if that becomes success the overall revenue will surely increase in the future years. Therefore it is quite clear that the success story of apps should be continued in the next years.